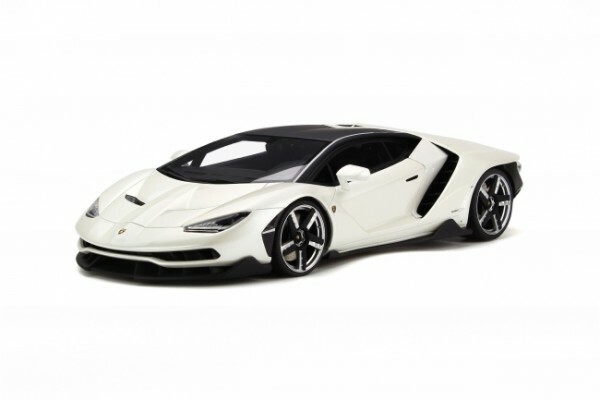 Produktinformationen "Lamborghini Centenario Pearl White Kyosho KSR18503W GT Spirit LE 500"
To mark the 100th anniversary of the birth of founder Ferrucio Lamborghini, the Italian manufacturer decided to do something special. This homage was presented at the Geneva car show of 2016 in the form of a model with a visible carbon-based body kit. This model was based on the sports car of the brand, the Aventador. The production was limited to 40 units of the car, sold in record time. Under the layers of carbon could be found the signature of the brand, its V12 atmospheric engine. Its 770 horsepower transformed the Centenario into a fighter jet with a top speed of 350 km/h, and with the ability to go from 0 to 100 in a mere 2.8 seconds. Weiterführende Links zu "Lamborghini Centenario Pearl White Kyosho KSR18503W GT Spirit LE 500"
Kundenbewertungen für "Lamborghini Centenario Pearl White Kyosho KSR18503W GT Spirit LE 500"